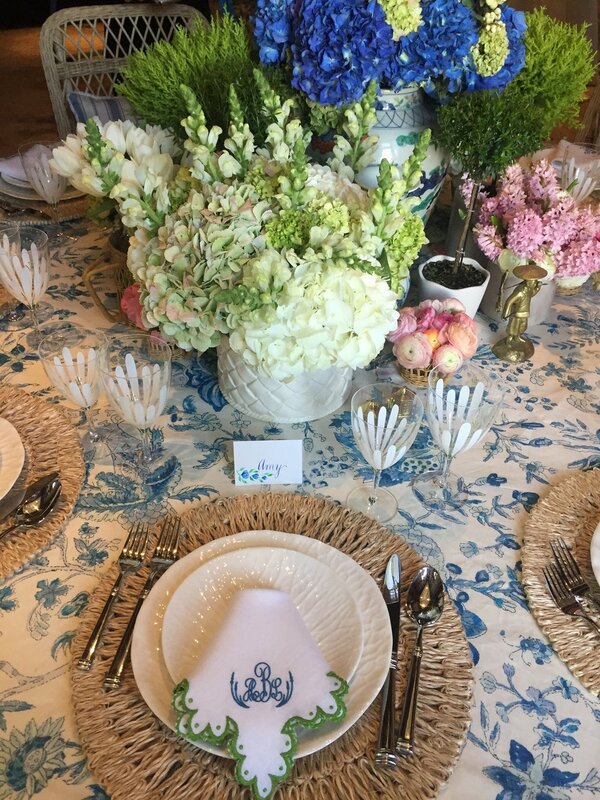 We were so excited to paint watercolor placards for Amy Berry's table at Kappa Tablescapes this year in Dallas, Texas. We painted a handful of drafts and then she picked her favorite for us to make for her tablescape. Isn't it dreamy?